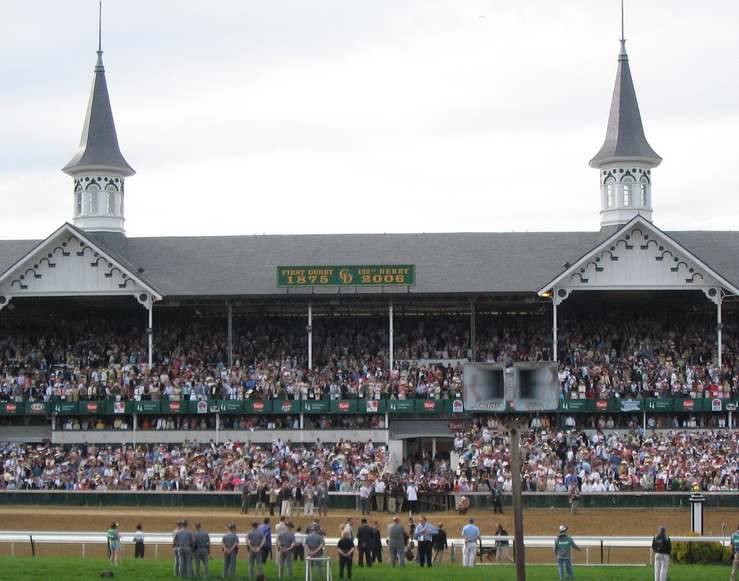 The Kentucky Derby Trail resumes this weekend with cross-country action from Santa Anita and Aqueduct. Both races feature logical contenders and likely won’t offer strong wagering opportunities. That said, several horses are making their 2015 debut — improvements and regressions are quite possible. In California, we have the Robert B. Lewis, a Grade III race at 8.5 furlongs, featuring a compact field of only 6. Dortmund is the 4/5 favorite on the morning line and will likely go off at that price or lower. He currently has 10 points, courtesy of his win in the Los Alamitos Futurity this past December, and a win today puts him in good position to make the Derby (although he’ll likely try for many more points through the winter and spring). He has potential to be “any kind,” but he’s still a bit more hype than accomplishment at this time, and hasn’t shown me a tremendous amount of discipline on the track. Taking on “hype machines” is the name of the game, especially in Derby preps, and I’ll try to beat him here. Dortmund’s main competition seems to come from the head-bobbing second place finisher in the Futurity, Firing Line, who is listed at a morning line of 7/5. I’m a bit bearish on Simon Callaghan-trainees as of late; I’ve seen many not run as expected throughout the past few months. Instead, I’m taking a long look at Rock Shandy, who is a very generous 6-1 on the morning line; I’d expect him to go off somewhere in the 4-1 range. His speed is comparable and he ran well in his dirt debut against the talented Calculator in the Sham. Peter Miller is often aggressive in placing his horses, but Rock Shandy fits well here and will be the play at 4-1 or better. I’d also consider an exacta with Dortmund/Rock Shandy, taking a stand against Simon Callaghan. Across the country, we have the Withers, another Grade III race at 8.5 furlongs. El Kabeir, the current Kentucky Derby points leader at 21, is a clear standout at 8/5 (I expect him to be odds-on). He’s been a very solid, if not spectacular performer throughout the early part of the schedule, and he’s facing an unaccomplished group today. He has a significant speed advantage, although it’s possible that another will improve to challenge him down the stretch. The jury is still out on Classy Class as a distance horse and I’d certainly stay away at any sort of low-price. I did fear him a bit in the Remsen, but I’m not terribly in love with that race, and his performance wasn’t terrific that day. I think El Kabeir is the main play here, all the way down to 4/5, and I’d use him in multi-race sequences as a comfortable single. Good luck at the races this weekend!